Croagh Patrick Lodge is located in the idyllic and picturesque village of Murrisk at the foot of Croagh Patrick on the Wild Atlantic Way, which is one of Ireland's most famous landmarks. 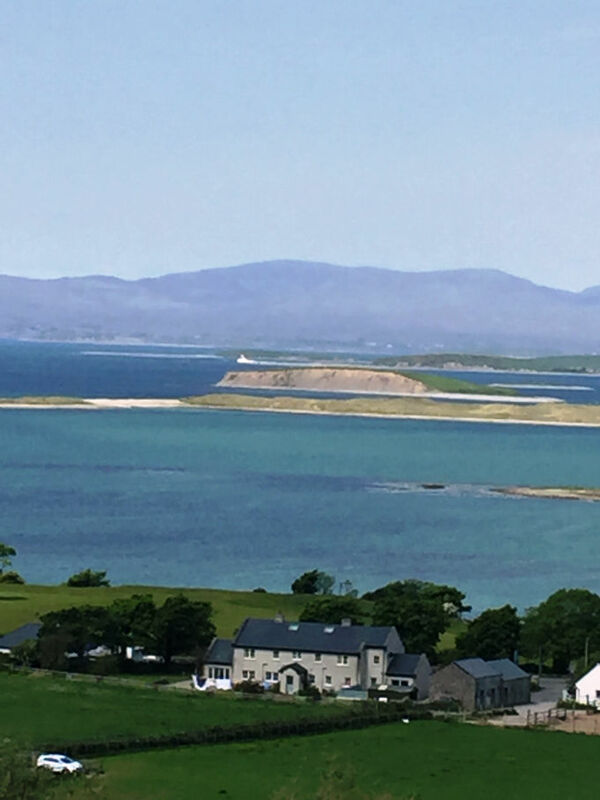 It overlooks Clew Bay and is within view of Bertra Beach. It is 7 kilometers from Westport town. At the foot of Croagh Patrick mountain, the elegant self catering Croagh Patrick Lodge overlooks Clew Bay in the County Mayo village of Murrisk. Free parking and Wi-Fi are provided. The Lodge is decorated with a sympathetic mix of antique furnishings and contemporary features. All rooms have stunning views of the sea and mountains. Comfortably sleeping up to 15 people, Croagh Patrick Lodge is around 7 kilometers from the picturesque town of Westport, previously voted the best place to live in Ireland. It has a range of restaurants, pubs and shops within a 15 minute drive, as well as a cinema, leisure centre and championship golf course. Croagh Patrick Lodge is situated in the heart of Murrisk, a beautiful, self contained village boasting several fine traditional pubs and a well regarded restuarant. If you are looking to climb Croagh Patrick itself, it is quite literaly in our back garden, with the official climbers car park and visitor centre just 50m away!